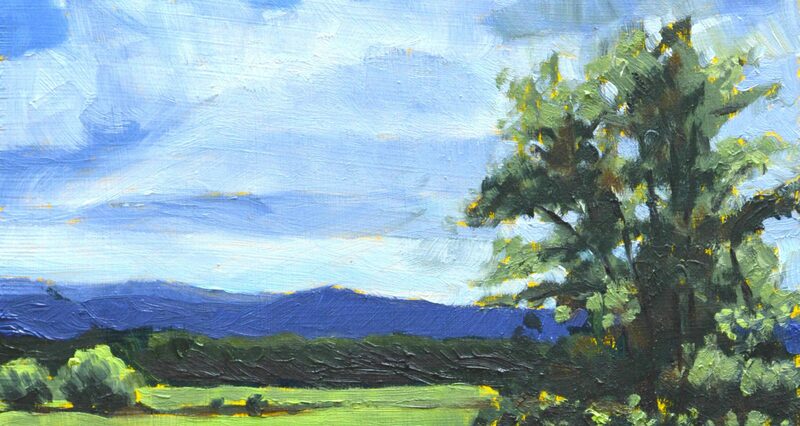 Join us on Thursday evenings this spring for a fun oil painting class for beginners! The course will start with an intro to the tools and materials of oil painting with an emphasis on healthy methods and a review of basic colour theory. The first exercise will be a small still life study followed by a critique. Presentations on a variety of art movements and styles will help students find a style and subject matter of their choice. Landscapes, floral, and the human form as subject matter will be introduced, then students can work on a variety of subjects and ideas. Style in art will be considered with each student finding their personal expression. Joan McGivney is native to Toronto and has a Fine Arts degree from the University of Toronto. After a 32 year career as a high school Visual Arts teacher, and as Department Head of Visual arts, she retired in 2004 to paint full time. Her realistic landscapes and human forms are painted primarily in oils. She has been in several group shows and has joined and exhibited with: The Bayview Art Tour, The North Toronto Group of Artists ,The Scarborough Arts Guild., The North York Visual Artists,The Queen West Art Crawl., and Artify. Currently, she is Past President of the North York Visual Artists and an Executive Director for the North Toronto Group of Artists, and the Bayview Art Tour.